The worlds of high-speed racing cars and fast-paced wristwatches have gone hand-in-hand for decades. For generations race car drivers have relied on the split-second dynamics of watches, ever since Edouard Heuer introduced the Monte Carlo 12-Hour Stopwatch in 1958, along with the Super Autavia full chronograph and the Sebring 60-minute, split-second timer, which were released thereafter. Both racing car drivers and enthusiasts soon relied on the Heuer brand for up-to-the-second calculations of race times. Many other watchmakers followed Heuer’s lead with racing inspired timepieces of their own, including Rolex with the Daytona chronograph, Omega with the Speedmaster series and Chopard with the Mille Miglia series. 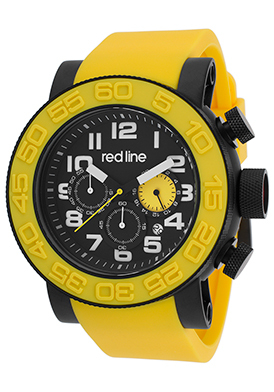 Red Line watches follows in the high-speed excellence of these prestigious watch brands with an exemplary collection of over thirty racing-inspired watch styles made expressly for men, including the recently released Xlerator watch series, which makes its global debut this week a popular online retailer WorldofWatches.com. High-performance “muscle-cars” are the source of inspiration of the new watch collection, which comes in both 3-hand and chronograph models. The massively-sized 52mm diameter, 16mm thick cases deliver bold impact on the wrist. In addition, the colorful top surfaces on the unidirectional rotating bezels and the matching supple silicones straps are inspired by the vibrant colors featured on the bodies of high-speed touring cars. The Red Line Xlerator is designed for today’s man on the go and captures the exhilarating spirit of going from zero to sixty miles per hour as you hit the gas pedal on a sports car. The Xlerator chronograph model has raised markers on the bezel and a printed dial with three subdials, luminous hands and Arabic numeral hour markers. Features include an automatic date calendar, small-second, 60-minute and 24-hour registers. A locking screw-down crown and case back provide water-resistance to 100 meter or 330 feet. 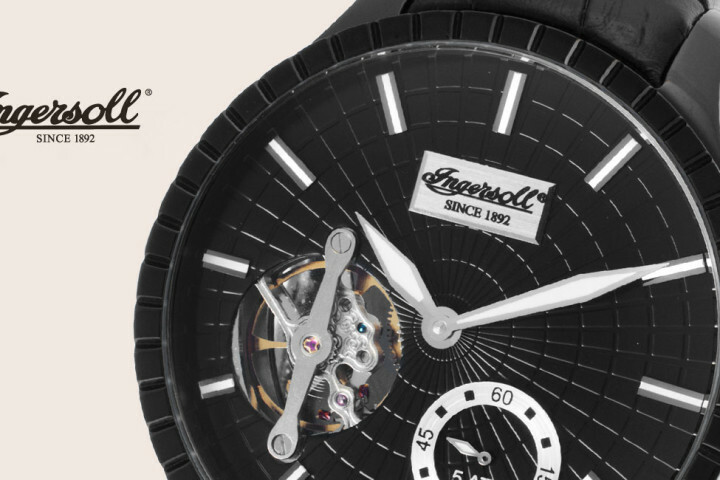 Quality quartz movement inside assures you of precise time-keeling accuracy. Red Line Xlerator models feature cases in stainless steel, black and gunmetal ion-plated steel, rose and yellow gold-tone steel with silicone straps and bezel top straps in black, gray, white, orange, red, yellow and blue.